A heroin addict who admitted the attempted theft of a charity box in memory of a child cancer victim has been jailed for a total of nine months. James Birchall sparked revulsion on social media when a CCTV images were circulated of him trying to pocket the box in a wine shop in Hawick, Roxburghshire. 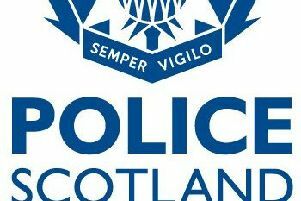 The 25-year-old also received jail sentences for a theft from a house and stealing two bottles of spirits from a superstore at an Easter Saturday custody hearing at Selkirk Sheriff Court. The attempted theft of the collecting can for a charity associated with 13-year-old Anthony Mundell was captured on CCTV and widely circulated on social media. Birchall, of Old Town, Peebles, tried to place the charity tin in his clothing but was foiled as the box was chained up to the till at Teviot Wines in Tower Knowe in Hawick on March 12. Anthony, from Hawick, died in 2009 of a rare type of kidney cancer. The Anthony Mundell Memorial Fund supports the families of children suffering from cancer and other life-limiting illnesses, as well as bereaved parents.